Insight into human behaviour allows development of programmes that help doctors override their usual responses, reflect and rethink for faster rare disease diagnosis. Rare diseases present distinct communication challenges and opportunities. While fundamental principles remain universal, the specific characteristics of rare diseases, and ultra-rare diseases in particular, require an experienced and targeted approach. More than 7,000 rare or ultra-rare diseases are known and approximately one-fifth of the world’s population is living with a rare disease. Thus, together, these diseases are, in some ways, not so rare. Many appear at birth or in childhood and can be fatal unless diagnosed and treated. Patients face the challenge of a diagnosis typically taking from five to seven years, while frequently suffering from life-shortening or debilitating symptoms and poor quality of life. Often there is no cure and only limited treatment options with uncertain outcomes. Advances in medicine now enable more rare diseases to be treated, and almost half of all new drug approvals in 2015 alone were for rare diseases. Communications strategies need to be tailored for this unique space, with careful use of behavioural science, to ensure fast and accurate rare disease diagnosis. Patients will then be able to receive the right treatment, which is vital for those who are severely affected and for whom rare diseases can be fatal. It is hardly surprising that most clinicians have low, or no, awareness of a specific rare disease, as often they won’t see a case during the course of their careers. Additionally, other, more common, disorders can camouflage a rare disease, owing to overlapping symptoms. As a result, under-diagnosis and misdiagnosis frequently occur. Indeed, almost one-in-four patients diagnosed as adults with an ultra-rare, life-threatening metabolic disorder reported having experienced symptoms during childhood. These diagnostic challenges, lack of clinical experience and limited clinical data mean disease awareness and confidence in accurately diagnosing rare diseases are low. Also, the wide-ranging and varying symptoms associated with rare diseases mean that physicians from different clinical specialities are often involved in making the correct diagnosis. This complexity in the patient journey can delay diagnosis. How can behavioural science help make the rare recognised? Behavioural science can help us understand and overcome the challenges in the rare disease setting. For example, physicians are trained to look for the ‘ordinary’, to associate specific symptoms with specific conditions and, more often than not, the obvious answer is the right answer. 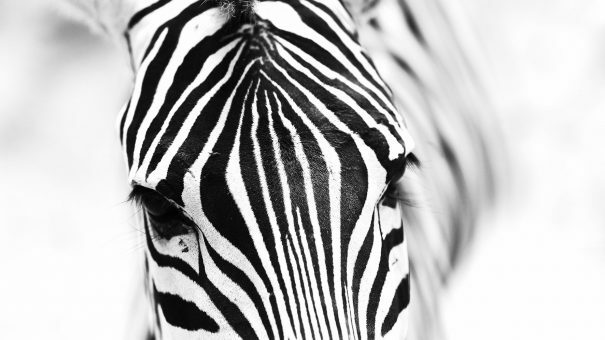 In other words, “When you hear hoof beats, think horses, not zebras!” This powerful mental shortcut appeals to our usual thinking – or ‘system 1’ processing in behavioural terms – but can result in a bias against other diagnoses and, consequently, a rare disease being missed. Understanding these biases allows programmes to be designed that override the initial ‘system 1’ response to a problem and to engage in analytical ‘system 2’ thinking, encouraging clinicians to consider alternatives and ask “Could this be…?”. For example, by using emotive case studies or a provocative question initially appealing to ‘system 1’, physicians can be encouraged to engage in logical reasoning through ‘system 2’ and then critical evaluation of the evidence to support the correct diagnosis. More than in any other therapy area, medical education plays a crucial role in the broader communications strategy. Behavioural science can also help in developing successful programmes. Consider how much time and effort clinicians are willing to invest in engaging with medical education for a rarely-encountered disease. Concise and targeted communications, easy-to-use tools (such as mnemonics) and longitudinal programmes are likely to be more effective than more traditional ones, such as satellite symposia. Peer-to-peer sharing of clinical experiences of diagnosis and treatment is important in a setting in which many will never have encountered a particular rare disease and data from clinical trials are limited. Establishing strong and lasting relationships with the limited number of experts is key to delivering education that raises awareness and increases symptom recognition for faster diagnosis and access to appropriate treatment. These principles were used to good effect in a recent award-winning disease education programme that increased awareness of an ultra-rare disease, which, if left undiagnosed, can be fatal. This resulted in a fold-four increase in diagnosis. Many rare disease sufferers are children and, in the absence of information from their physician, both patients and their parents are likely to become experts in their disease, the symptoms and the treatment options. Working with patients and their families, and in partnership with advocacy groups, can provide deep understanding of the long and complex patient journey. This allows the development of compelling resources and tools that support rare disease recognition throughout the diagnostic journey and empower patients and their families to help clinicians with referral and diagnosis decisions. Given the limited number of patients, programmes driving recruitment, enrolment in registries and compassionate use are vital to secure patient participation in clinical trial programmes and expand clinical experience with new therapies. These initiatives are also invaluable in understanding a specific rare or ultra-rare disease, providing information it is often hard to gain by other means, guiding patient management with current therapies and helping the search for new treatments. Will everyone have a rare disease in the future? The rare disease setting offers opportunities for innovative communications strategies that influence behaviours and encourage physicians to be open to the unusual. With cancer research leading the way, ongoing work to better understand more common diseases and disorders is segmenting them at the genomic level. With this deeper insight, it may soon be the case that everybody has a ‘rare disease’ and personalised medicine involving highly targeted drugs becomes the norm. Those who understand the complex rare disease challenge and how to achieve behavioural change through effective and affective education will lead the way in the future. 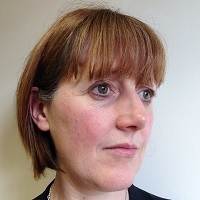 Louise Picken PhD is a Scientific Director at Complete HealthVizion, a McCann Health company. She is an expert in translation of deep insight into communications strategies and medical education that improves patients’ lives. Bringing behavioural science to medical education: a transformative combination?